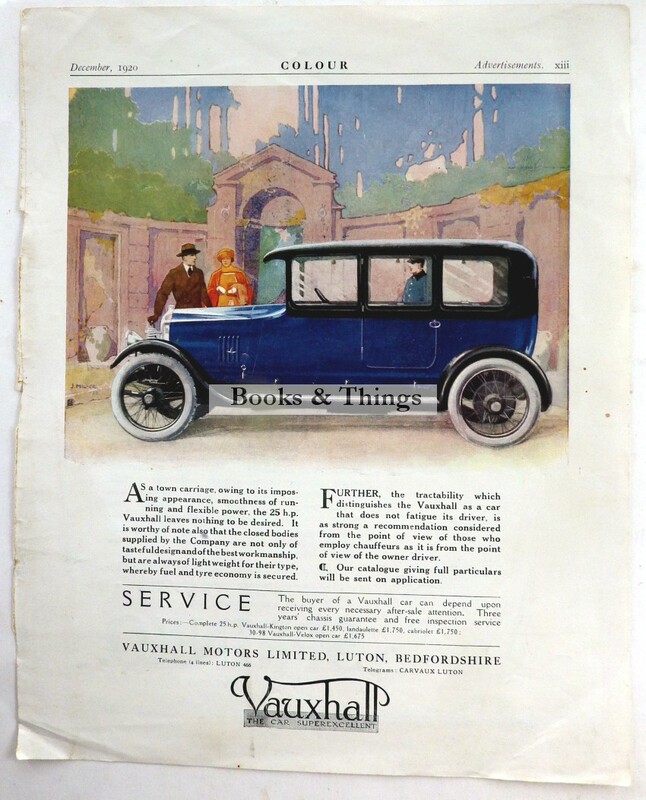 Vauxhall: Original colour advert from Colour magazine Dec. 1920. 310 x 250mm. Corner creases. Category: Motoring. Tags: Vauxhall advert, Vauxhall car advert 1920.